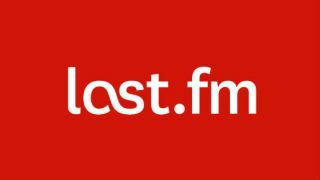 Last.fm is urging users to change their passwords after the music streaming service became the latest site to fall foul of security leaks. In a post on Last.fm site the company wrote: "We are currently investigating the leak of some Last.fm user passwords. This follows recent password leaks on other sites, as well as information posted online. As a precautionary measure, we're asking all our users to change their passwords immediately." It follows the security scares of the past few days in which both business networking site LinkedIn and dating site eHarmony have seen their users' password data appear on password-cracking sites. However, head of LinkedIn Vicente Silveira has given an update on the situation that should quell the anxiety of its members. "To the best of our knowledge, no email log-ins associated with the passwords have been published," Silveira wrote, "nor have we received any verified reports of unauthorized access to any member's account as a result of this event." In other words, the offending parties only had half of the key – without the matching email log-ins the passwords were useless. As a precautionary measure, all LinkedIn passwords revealed will be automatically suspended and users will receive an email requesting they choose a new one. On the one hand it's good news that it appears (so far) that no real harm has been done, but on the other you have to wonder why the hackers would bother if they really didn't have the email log-ins. Regardless, it's a stern reminder to keep those passwords hard to guess and different between sites, folks.